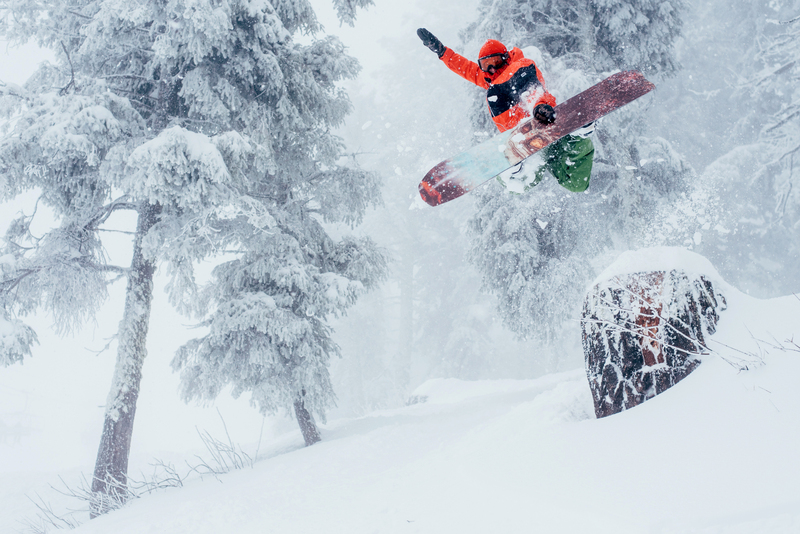 Proximity to chairlifts, quality of terrain and an enthusiastic community to share it all with—these are some pretty important factors in determining the best places to live as a snowboarder. For those about to set off to college, they might be the only determining factors. Historically this has brought slews of shredders to the Universities of Vermont, Colorado, Utah and other big name destinations. After pouring over Top 10 lists throughout my high school years I thought I had the United States’ greatest snow savvy college towns well mapped, that is until I paid a recent trip to Boise, ID. There I discovered that it’s only a 45-minute drive to Bogus Basin, and home to a state university with an 80 percent acceptance rate. B+ students rejoice. ABOVE Justin Norman pops a method off one of countless stumpy sidehits we came across at Bogus Basin. While Boise State University and its closeness to Bogus Basin may have slipped my radar, it didn’t make it past Luke Tokunaga’s. 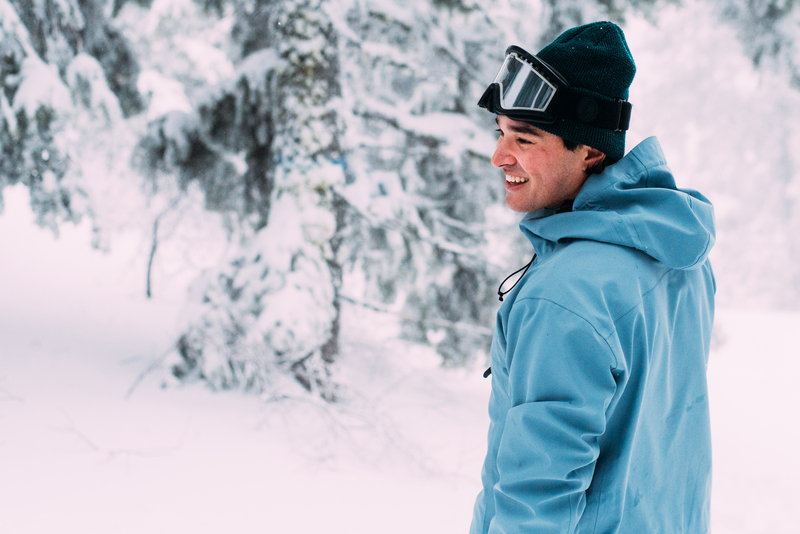 Luke just graduated from the university in May and now works as marketing coordinator for the resort, riding almost daily. For a 23-year-old, Luke has set up an ideal situation for himself. And as the younger brother of Airblaster’s Max Tokunaga, it comes as no surprise that he rips too. 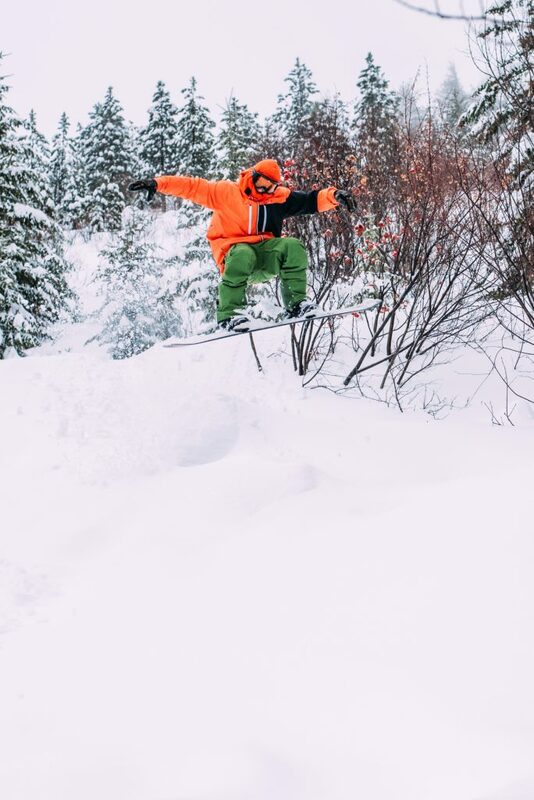 ABOVE Luke Tokunaga, tree tappin’. Justin Norman, Matt Wainhouse and I were on the last leg of a weeklong trip through southern Idaho when we stopped for a night in Boise, and the next day went to Bogus Basin to link with Luke. Five inches of fresh snow overnight was followed up by a bit of rain that morning, providing a wet yet playful experience when the lifts started turning. It being a Saturday, scores came up from the city to rip through the mashed-potato-powder, evidently undeterred by sopping conditions. It became readily-apparent that Bogus Basin regulars are a hearty bunch. Luckily, Luke was willing to show us some lesser-known stashes. ABOVE Luke Tokunaga leading us through at times whiteout conditions around Bogus Basin. Fortunately, he took us to the trees where visibility was better and there was plenty untouched snow to slash. We were originally attracted to Bogus Basin by its terrain parks, managed by High Cascade Snowboard Camp’s head digger, Corey Macdonald. Seeing videos of The Bogus Project, one of Snowboy Productions’ events last season, also helped prompt the visit. But after just a few runs we discovered the resort has plenty more to offer than rails. Mobbing around the mountain we came across endless sidehits, most of which came in the form of little stump jumps with quick-transition landings. ABOVE Justin Norman finding a nice, soft transition for this casual frontside 180. We lapped the lifts through midday until every run felt tracked and hard-packed before heading towards our original target. With a mini park serviced by magic carpet and a few more rails in a bigger-feature, lift serviced park, the setup didn’t disappoint. 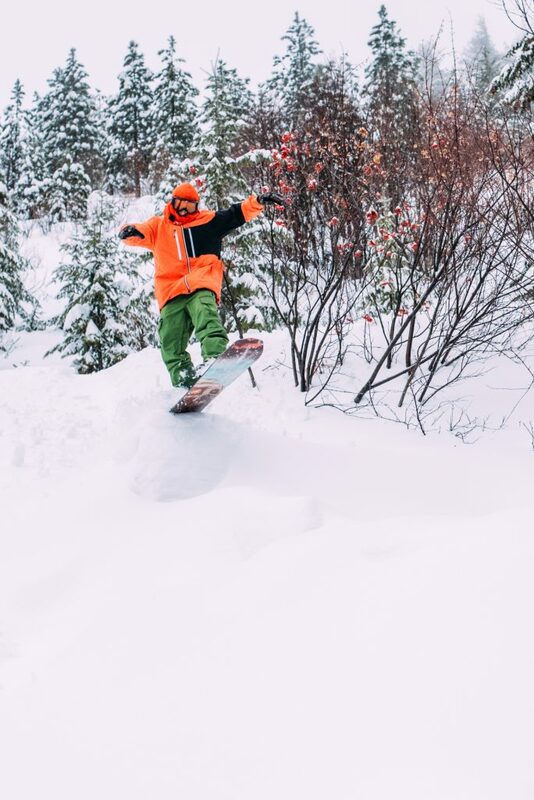 Although there wasn’t much in the way of manicured airtime, the base-building snow that fell during our trip and in the weeks that followed has allowed the park crew to build some jumps, meaning it’s only gotten better since our short time there. ABOVE We enjoyed a quick respite from the rain and were treated with some beautiful views on our way to the terrain parks. 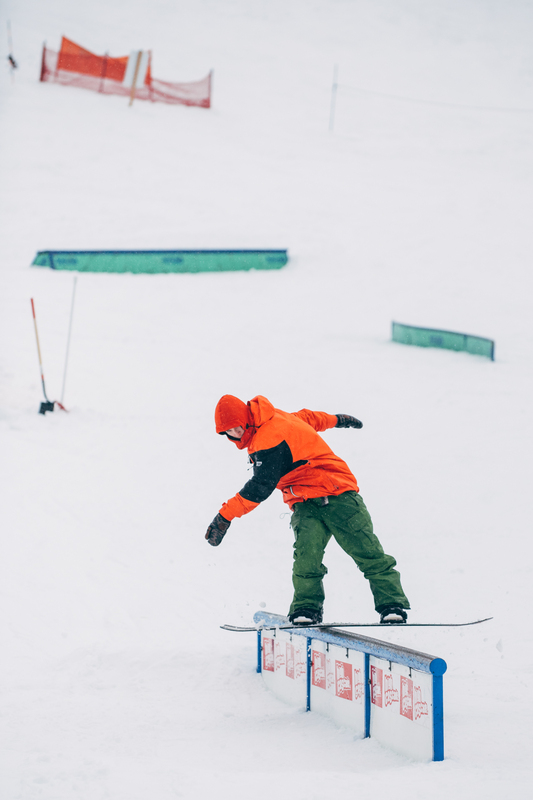 ABOVE Justin Norman, switch nosepress on the High Cascade Snowboard Camp’s Diggers’ rail. The terrain parks at Bogus Basin are run by High Cascade’s head digger, Corey “C-Mac” Macdonald, hence why this rail and the blue and white High Cascade rail pictured above are featured there. If I were able to do it all over again, I could see myself a college kid at Boise State University. Granted, with its convenient proximity to Bogus Basin, I don’t think I’d be inspired to hit class as much as the mountain. Honestly, with such a great distraction so close by, it’s wildly impressive that the university’s retention rate is nearly as high as its acceptance. 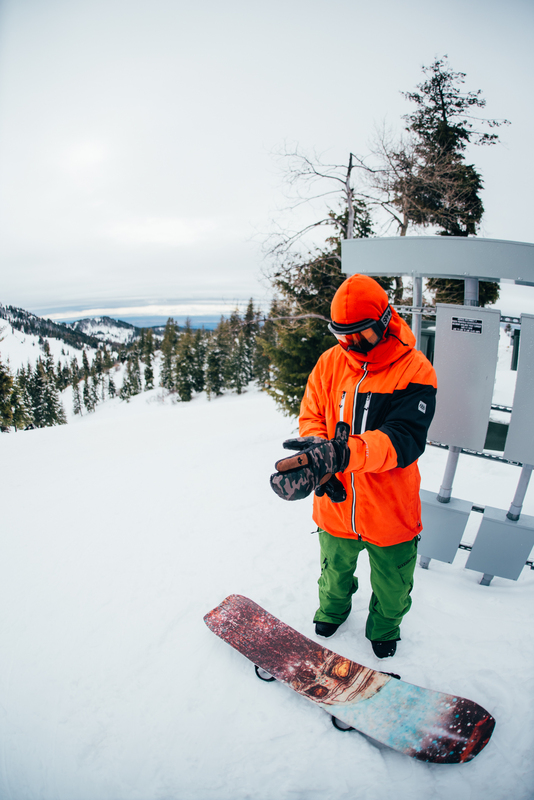 Special thanks to Luke Tokunaga for showing us around the resort, and to Susan Saad the rest of the crew at Bogus Basin for an awesomely fun time despite the rain. 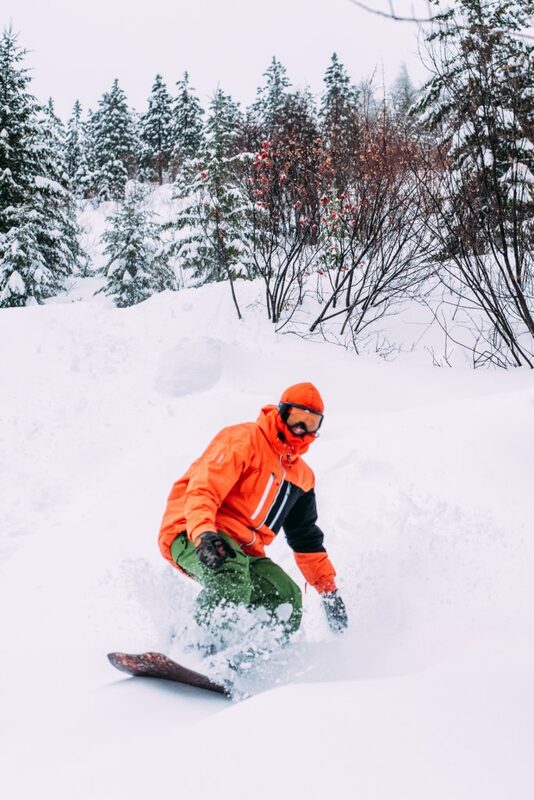 Thanks also to Tony Harrison and Ski Idaho for helping facilitate the trip, and to the Courtyard by Marriott Boise Downtown for giving our crew a place to crash. Boise is dope!